Do you need to hire a translation freelancer? If you are planning to take your business international, then the answer is yes. 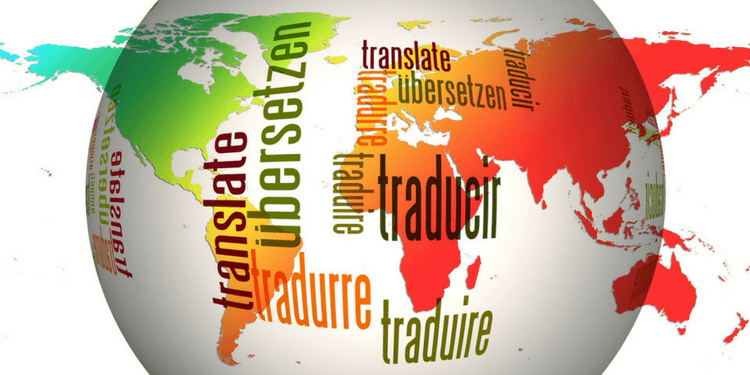 When you go international, you are going to need a translation freelancer to get your content translated. You will not be able to create let alone build a strong presence without translated content. Each country that you plan to expand into has its own language and nuances of expression. A translation freelancer can make sure that all of your site’s content is properly expressed so that you can properly communicate. It might sound straightforward enough, but translating is not that simple. One language cannot just be converted mechanically into another. A translator does not simply take words from the source language and pick nice synonyms for them in the target language. A translator must be able to do more than just speak two languages fluently. A translation freelancer knows that the work is about adaptation. All of the information that you have on your website needs to be converted into an appropriate format for the target language. It also needs to be properly fashioned to fit the specific culture within which it is spoken. A translation freelancer had a special skill set that is developed over time through experience and exposure to the target culture. They must understand a lot of things about the language and how the people speaking it use it to convey meaning. They know the intended audience, not just the vocabulary. A translation freelancer understands different aspects of language. A few basic examples of these are language structure and how it changes with the different registers or levels of formality, written tone and what it means, how the purpose of a text is relayed, and how style and forms of expression add another layer of meaning. They take the whole piece and rework it so that it has the same intended effect on the new target audience that it does on the source targets. 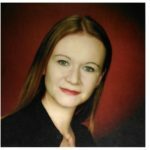 A translation freelancer focuses on the written word. It is quite a different skill set than what interpreters use. Translators are able to look deeper into the whole communication to really understand what is being relayed. They see the whole picture as well as the individual words, sentences and paragraphs. Interpreters focus on conveying the meaning of spoken words. An interpreter will zone in on the meanings of one phrase at a time, maybe sometimes even whole sentences. Interpreters must get the meaning out quickly and do not have the opportunity to see the big picture. Have you ever tried to translate something on Google? What was the result? I’ve run more than a few things through there, and my results ranged from unhelpful to hilarious. Single words and short phrases come out pretty ok after a few tries. Anything more than that is an exercise in futility. Well, I have to admit that it can be enjoyable. There are several vlogs that have made a game out of translation software. It’s really fun to watch and intellectually stimulating to play along. But when it comes to business, it’s no laughing matter. You don’t want to make your prospects work hard to understand you. And you definitely don’t want to make them laugh at you. Translation algorithms are a lot more advanced than they were when they were first developed. The free Google tool is perhaps not the best example of the technology in action. For WordPress websites, for instance, there are several professionally developed translation plugins that take your existing content and produce translations for them. This is a quick and simple solution to getting a multilingual website. I have personally worked with the WPML plugin from WPMU Dev and it’s not half bad. These automated translators are still far from perfect, however. When your business depends on it, automated translation is hardly adequate. Automated translators are a stop-gap measure, at best, until you find the right translation freelancer to complete the work on your site. 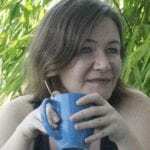 You need a human, a translation freelancer, who can relate to your target audience and make a connection. Hiring a translation freelancer to get your site ready for the world is your best bet for many reasons. Below are just a few of the main reasons to get your content professionally translated. Most translators work freelance anyway. There aren’t that many steady jobs for translators outside of embassies and government. Translating documents is more of a one-time gig, and so they make a living from taking on projects here and there. A translation freelancer can provide you with far higher quality output than any software solution. They can even make suggestions as to how the content can be tweaked to better speak to your new audience. The cost for hiring a translation freelancer is not that far from what you would pay for the best automated tools out there. At a competitive rate, it just makes more sense to go for the best option. Hiring a pre-vetted expert translation freelancer ensures you of the fastest turnaround time. Sure, software solutions are quick, too, but again, you can’t scrimp on quality. Once you’re ready, you can find a myriad of sites where you can hire a freelance translator for your business in this article from one of our friends at Russian Translator Pro: Ultimate List of Places to Find Translation Work Online. If you’re a freelance translator, you can also use the resource to find translation work for your freelance business. Is content one of your biggest frustrations about getting your site ready to go international? What about the other aspects of your business operations that you need to prepare? This is most definitely a very exciting time for you. Before you jump headlong into the international arena, however, make sure that you have all your ducks in a row. Making even a simple checklist of the areas like website content that need some kind of conversion can help a lot. You can then set priorities and get an overview of what needs to be accomplished before you launch in another country. This will help you set realistic expectations about the amount of work to be done within your timeframe. Do you need help to get it all done? Come on over to FreeeUp and we’ll get you set up with a translation freelancer and introduce you to other freelancers who can back you up as you make the transition. I’ve been working on expanding into Amazon EU and actually wanted to be set up by Prime Day – too late! – but ran into this exact issue which caused so many delays. I wish I’d heard of you guys sooner!